Alfred A. Knopf, 9780375833359, 40pp. Richard Michelson is an award-winning poet and children's book author whose work has been praised by Elie Wiesel as "deeply moving." He lives in Northampton, Massachusetts. Raul Colon is the recipient of both Gold and Silver Medals from the Society of Illustrators. He lives in New City, New York. 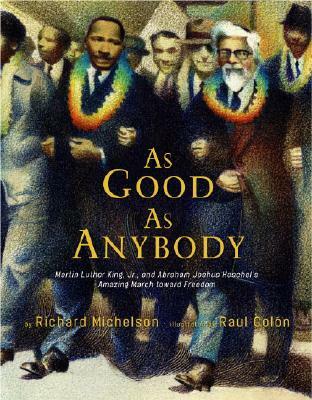 "A portrait of one of the more unusual partnerships of the civil rights movement."